It may seem strange, therefore, that McCullin, arguably Britain’s most important living photographer, has agreed to mark the sixtieth anniversary of his career with a major retrospective at Tate Britain, the home of British art.2 Yet McCullin’s work sits just as comfortably within these galleries as it did a few years ago in those of the Imperial War Museums.3 Visitors to the current exhibition will find points of relevance, fascination and discovery, regardless of whether they view the exhibition as lovers of art and photography or seek enlightenment regarding the human condition, modern conflict, social history or journalism. Curated by Simon Baker, Shoair Mavlian and Aicha Mehrez, the exhibition marks a radical new departure for Tate Britain: it is the gallery’s first major retrospective of a living photographer and its first significant engagement with the world of documentary photography. Some 250 framed black-and-white images, hand-printed by the photographer and displayed thematically over eight rooms, trace the evolution of McCullin’s career between 1958 and 2018. Opening with The guv’nors in theirs Sunday suits, Finsbury Park, London (cat. 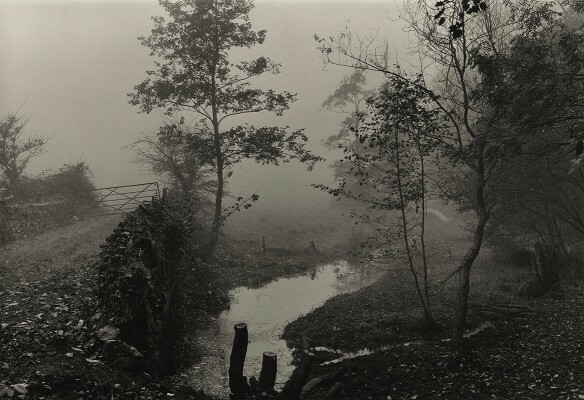 no.1; Fig.23), his first published photograph, and closing with a selection of British landscapes, still-life compositions and a sequence from his compelling Southern Frontiers series (2006–17; nos.157–64), the exhibition presents a stunning demonstration of McCullin’s mastery of the art of black-and-white photography. McCullin was introduced to photography during National Service (1954–56), when he was attached as a darkroom assistant to a RAF photographic unit in Suez and Kenya, both active war zones at the time. As a part-time freelance press photographer, McCullin achieved early success in the 1960s with his tense images of the construction of the Berlin Wall (1961). Graphic coverage of fighting in Cyprus (1964) and the Congo (1965) brought more attention, culminating in an invitation to join the Sunday Times in 1966. McCullin photographed a wide range of stories in Britain for the newspaper throughout the late 1960s and 1970s, including shocking coverage of social deprivation in the north of England and in London. A portrait of a homeless Irish man in Spitalfields, his face darkened by exposure to the elements, is one of McCullin’s most haunting images of this period (1970; no.62). McCullin gained lasting fame for his coverage of the conflicts of the day. His photographs of United States marines fighting at close quarters in the streets of Hue during the 1968 Tet Offensive in Vietnam convey the essence of combat in the front line (no.40; Fig.24). The experience of photographing the devastating consequences of the Biafran famine (1969), however, led McCullin to concentrate increasingly on the victims of war. He photographed refugees afflicted by cholera in Bangladesh (1971) and the suffering of Palestinian civilians in Lebanon (1976 and 1982). The power of these images was augmented by the innovative art department at the Sunday Times Magazine, overseen by its director Michael Rand. McCullin’s photographs dominated the page in full-bleed layouts. Four-colour printing, in which blacks were enhanced with purple tones, gave them a striking richness. McCullin’s fortunes declined in the 1980s. A more conservative political climate which was hostile to the press, a public mood which prioritised the individual over the collective and a new editorial direction at the Sunday Times following its acquisition by Rupert Murdoch, led to McCullin’s enforced departure from the newspaper in 1983. He was left to overcome the psychological consequences of an overintensive focus on conflict and seek a new direction for his work. 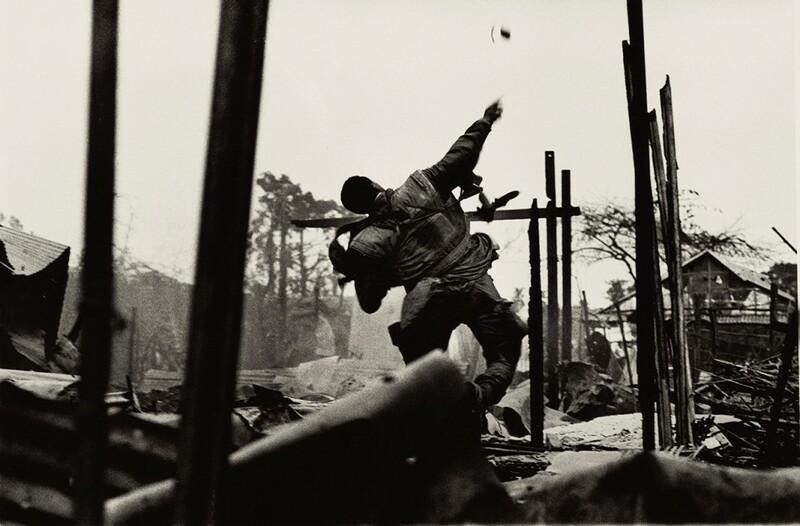 Although McCullin has occasionally returned to war photography, for the past thirty five years he has concentrated primarily on travel and landscape photography. Major bodies of work created in Indonesia, India and Africa revived his career. Capturing the beauty of the British winter landscape, particularly near his home in Somerset (no.138; Fig.25) and at Hadrian’s Wall, has, by his own admission, given McCullin a degree of personal peace. For this retrospective, the curators at Tate Britain have adopted a minimalist approach, which steers clear of experimentation in terms of design, hang and interpretation and relies strongly on McCullin’s own narrative for labelling and wall texts. McCullin is a wonderful communicator, but the exhibition would have benefited in places from a bolder interpretative approach and more contextualisation by the curatorial team. Little reference is made to the formative influences on McCullin’s photography and the text often fails to place featured photographs in their proper context. For example, the labels associated with a series of photographs showing Congolese troops tormenting prisoners before their execution in 1964 do not explain that the prisoners are Simba terrorists accused of participating in a brutal massacre of three hundred white civilian hostages, including women, at Stanleyville. Two small displays of objects and ephemera from McCullin’s collection accompany the photographs. They include his Nikon F camera, which still works (although this is not mentioned) despite being hit by a bullet during a firefight in Cambodia in 1970. McCullin himself is introduced by a short video at the entrance of the exhibition that features clips from Adrian Sibley’s recent documentary film Don McCullin: Looking for England (2019). The sequence enables the visitor to watch McCullin at work in his darkroom, a rare and instructive insight for a digital generation largely unfamiliar with the techniques of analogue photography. A few vintage prints, identified by their small size, serve as a reminder that many of McCullin’s photographs were originally intended for the pages of a newspaper, not the walls of a gallery. This point is made more strongly by an extensive projected slideshow of McCullin’s magazine features located halfway through the exhibition. The projection, which might have benefited from being realised as a digital, interactive installation that allowed visitors to interrogate this mass of information more directly, shows how McCullin’s photographs from this period were first seen in public. It also, almost inadvertently, makes the point that much of his imagery was published in colour and that McCullin, despite his preference for black-and-white photography, deserves more credit for his colour work than he usually receives. The exhibition requires a significant commitment of time and energy on the part of the visitor. The sheer volume of content verges on the overwhelming; it is an emotionally demanding but rewarding experience. For those who have followed McCullin’s work, the exhibition is a fitting tribute to a lifetime’s unstinting commitment to photography. For many others it will provide an excellent introduction to one of Britain’s leading photographers. 1 McCullin stressed this point when interviewed by this reviewer for the Imperial War Museums’ 2010–11 retrospective exhibition and accompanying book, D. McCullin: Shaped by War, London 2010. 2 Catalogue: Don McCullin. Edited by Aïcha Mehrez. 240 pp. incl. numerous col. + b. & w. ills. (Tate Publishing, London, 2019), £25. ISBN 978–1–84976–619–7. 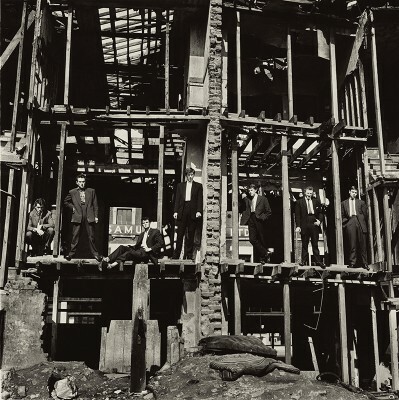 3 The exhibition Shaped by War: Photographs by Don McCullin was shown at Imperial War Museum North, Manchester (2010), and Imperial War Museum, London (2011).